It was dangerous to be a supporter of a witchcraft defendant. Friends and relatives were often accused themselves. 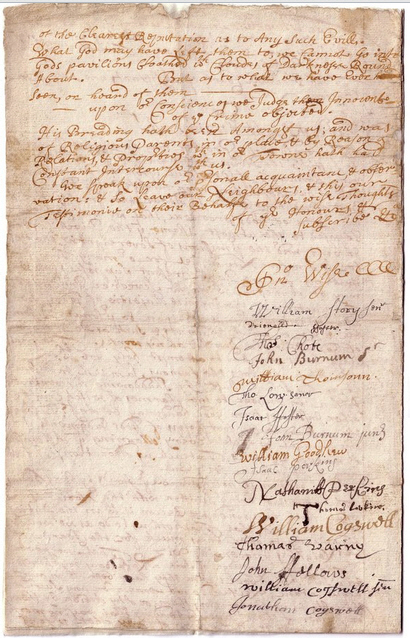 The Humble, & Sincere Declaration of us, Subscribers, Inhabitants, in Ipswich, on the behalf of o’r Neighb’rs Jno Procter & his wife now in Trouble & und’r Suspition of Witchcraft. We must not Trouble y’r Honr’s by Being Tedious, Therefore we being Smitten with the Notice of what hath happened, we Recoon it w’thin the Duties of o’r Charitie, That Teacheth us to do, as we would be done by; to offer thus much for the Clearing of o’r Neighb’rs Inocencie; viz: That we never had the Least Knowledge of such a Nefarious wickedness in o’r said Neighbours, since they have been w’thin our acquaintance; Neither doe we remember — any such Thoughts in us Concerning them; or any Action by them or either of them Directly tending that way; no more than might be in the lives of any other p’rsons of the Clearest Reputation as to Any such Evills. What God may have Left them to, we Cannot Go into Gods pavillions Cloathed w’th Cloudes of Darknesse Round About. But as to what we have ever seen, or heard of them — upon o’r Consciences we Judge them Innocent of the crime objected. We speak upon o’r p’rsonall acquaintance, & observations: & so Leave our Neighbours, & this our Testimonie on their Behalfe to the wise Thoughts of y’r Honours, & Subscribe &c.
Confronting the judges stood this sturdy old man, his head whitened with the frosts of seventy-six winters and protested that there was no legal way of convicting a witch, even according to the laws and beliefs of those times. It required no small amount of courage for him to take the stand he did against the opinions of the highest judicial tribunal in the province when no one was safe from the charge of having dealings with the evil one, and he himself might be the very next one accused of being a witch! But having the courage of his convictions he rose to the demands of the situation and proclaimed his opposition by a formal and thorough exposition: The great merit of this position, so far as it has come down to us, belongs entirely to him, and no man of his time is entitled to greater honor. It is a marvel how he breasted the storm when any resistance to the popular demamd was deemed evidence of complicity with the witches, imps and all the powers of darkness, to overthrow the true church on earth. 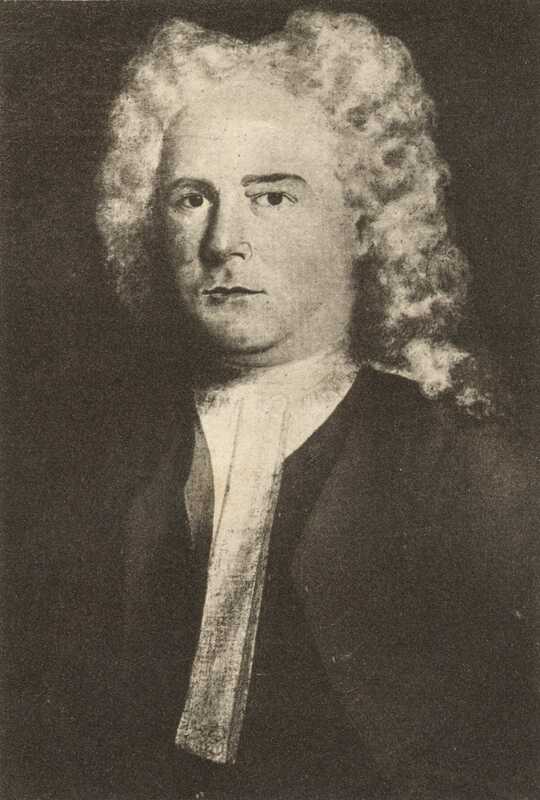 He defended and plead the cause of several of the accused, among whom were Mrs. Mary Bradbury, (daughter of John PERKINS) who was condemned but not executed, and Susanna Martin (wife of George MARTIN), whose memory is perpetuated by John Greenleaf Whittier, the poet. Robert Pike had a long history of opposing religious tyranny, for example, denouncing the law forbidding to preach if not Ordained in 1655, but the actual letter just contains the initials “RP” and the name Robert Payne, (foreman of the Grand Jury that returned the Witch Trial indictments and grandson of William PAYNE) was added later in a different hand, so an early record keeper thought this Robert wrote it. Here is a detailed discussion of who wrote the letter and here is another. Citing 1st Samuel xxviii 13, 14: Any person, virtuous or not, may be in truth a witch. A poor reputation does not suggest or substantiate guilt (as with Sarah Good). Satan is capable of presenting anyone’s specter to a tormented person (not only a witch’s specter). How can it be known if Satan acts with or without the permission of any specific (accused) person. It is completely contrary to a witch’s well-being for them to practice witchcraft within a courtroom. It is likewise contrary for witches to accuse others of witchcraft (as was the case), as “they are all part of Satan’s kingdom, which would fall, if divided against itself”. It is not known just how the letter was received, since there is no written response, but with it he became one of the first of several prominent men to question the handling of the witchcraft crisis. Within a few weeks Thomas Brattle and Samuel Willard of Boston wrote their own manuscripts, using some of the same arguments Pike had documented. By October of 1692 the activity of the courts was greatly diminished, the executions had ended, and the witchcraft crisis was effectively over. 31 May 1692 – When Elizabeth Howe was brought in for examination Mercy Lewis and Mary Walcott two of her main accusers, fell into a fit. She was accused by Mary of pinching and choking her in the month of May. Ann Putnam, Jr. added her accusations to these by saying she had been hurt three times by Howe. When asked how she pled to the charges made against her, Elizabeth Howe boldly responded, “If it was the last moment I was to live, God knows I am innocent of any thing of this nature”. Deborah Prince was daughter of Thomas PRINCE and Mary PATCH and second wife of George HADLEY . George’s first wife Mary PROCTOR was the brother of John Proctor who was accused of witchcraft, convicted and hanged 19 Aug 1692. Deborah was a witness in support of her neighbor Elizabeth Howe accused in the Salem Witch trials. 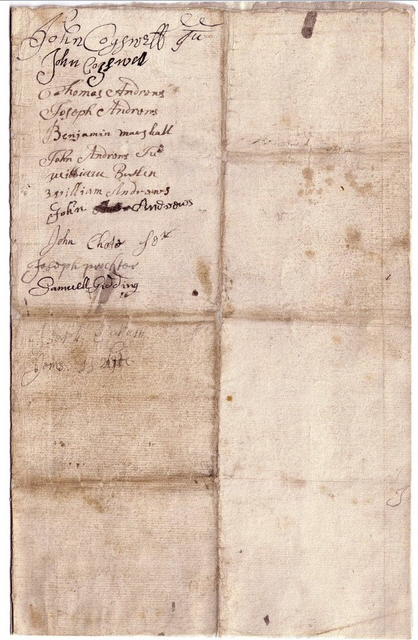 25 Jun 1692 – John WARNER, his brother Daniel and Daniel’s wife Sarah wrote this petition in support of their neighbor Elizabeth Howe. John, his brother Daniel and Daniel’s wife Sarah wrote this deposition in support of Sarah Howes. This entry was posted in History, Storied, Witch Trials. Bookmark the permalink. I was looking from my ancestor’s perspective John Proctor Sr.